8 Ball Pool is billiards game on facebook a lot of users.. Play billiards eight ball 8 ball pool, with other players online. You have to put all the balls and finally the ball number 8. There are several levels of players, as you gain experience your level will increase. 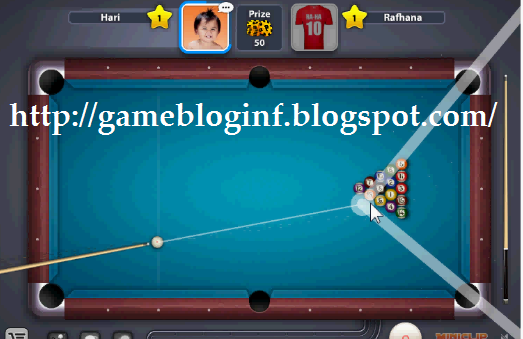 8 Ball Pool Cheat Target Line Hack is functioning to make the target line becomes wider and longer. By using this cheats, you will be much easier to insert your billiard balls. hack is new updates. In cheat engine, select process "FlashPlayerPlugin" for mozilla in win 7, "plugin-container.exe" for mozzila in win xp. Change value type to "Array of byte"
Then let's play 8 Ball Pool and Look what happened to the target line?